Featured model of Acousto-Optic LED Ultrasonic Solar Powered Bird repeller and Pest Deterrent with LED strobe light and PIR Motion Sensor is designed to protect your garden, garbage bins, fruit trees, lawn and flower beds any unwanted birds, bats, wild animals and pests. 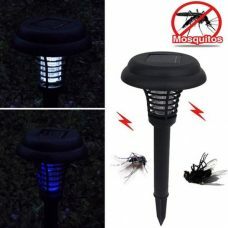 The repellent device has wall mount and uses both Ultrasonic Waves and LED strobe lights flash to scare animals away. Acousto-Optic LED Ultrasonic Solar birds repeller and Pest Deterrent item equipped with LED strobe light and PIR Motion Sensor is made to protect outdoor areas including gardens, fruit trees, lawn, garden, flower beds, backyards, garbage bins, crop fields etc. from different pests including unwanted birds, bats, wild animals, cats, dogs, foxes, rodents like rabbits, moles, rats etc. 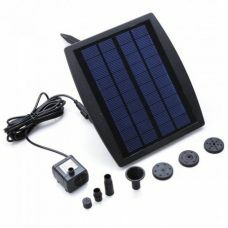 The Solar Panel charging repellent is specifically designed for outdoor usage and therefore fully weatherproof. The protecting device has PIR Motion Sensor that detects movement in the certain range and activates the repelling effect. 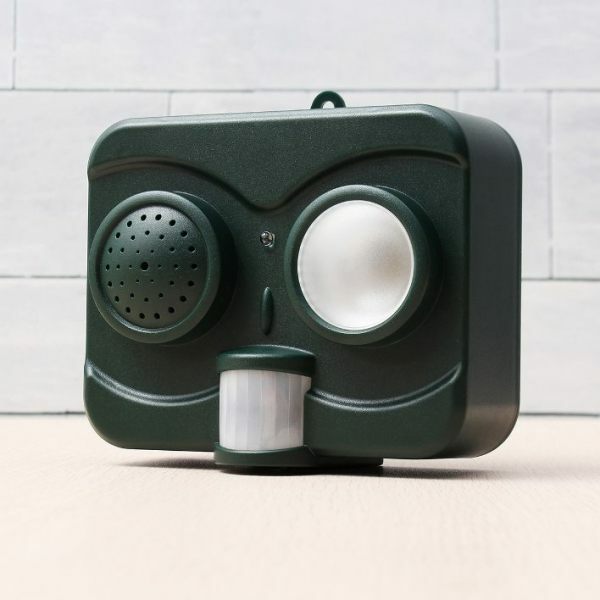 The repeller transmits Ultrasound Waves that can be felt by birds and animals and blasts Flashing LED Strobe Lights to deter pest creatures. This newly upgraded model of Solar powered bird repeller with wall mount features superior power and efficiency that will expel even the most annoying animals from your property. - Effective in repelling and deterring various birds and wild animals such as cats, dogs, foxes, rodents including rabbits, rats, mouse, moles etc. Suitable for driving field and forest bird. - Motion sensor picks up movement up to 8-10m radius with 110-120 degree range. 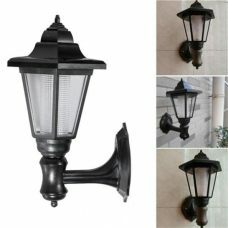 - Wall mount makes it convenient to protect a house or fence. Ideal for: protecting a house, gardens, fruit trees, lawn, garden, flower beds, backyards, garbage bins, crop fields and other types of outdoor property from unwanted birds and wild animals, pests, rodents without extra effort and costs. 5. The Deterrent Device is now ready for setup. The location should allow adequate sunlight to keep the batteries fully charged. Make sure that the area that does require protection is within the effective range of the repeller. 7. The deterrent device is waterproof; however, do not immerse it in water or any other liquid. 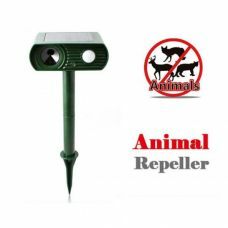 - Continuously use the Animal Repeller. - The device is safe for home pets, however, we strongly recommend to keep it away or turn it OFF if pets are playing around the protected area. Good repeller. Have seen few times by myself how a pigeon approached the item and got scared away with flash and maybe sound (have not heard the sound, so not sure). But it does not deter birds all the time, only when some of them approch closer to the sensor.